If mobile robots are used in areas where humans may be present, voice-communication capability might prove useful. This capability is enabled by the panic button and the two-way audio option. The robot is fitted with a red button for calling the operator or the call center. Pressing this button activates two-way communication with the operator and shows the robot’s environment through the robot’s cameras to the operator. Built-in all-weather speakers are powerful enough for use outdoors. 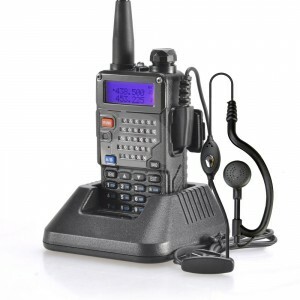 The microphone is fitted with a wind screen for better audibility in windy weather, and the operator is provided with a Bluetooth headset interface. This option is available for all mobile robot models. 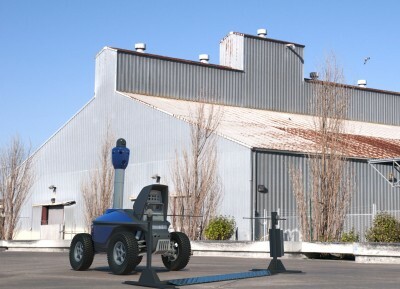 S-series mobile robots can be used at night and in low-light environments. Thus, their route should be predefined with night markers. One marker covers 55 to 110 yards of the route, depending on how linear and unobstructed is the robot’s path. Each night marker is powered by a built-in rechargeable battery. It lasts for three days of operation and can be recharged from night-time streetlights, solar panels, or wall-powered rechargers on the robot’s route. 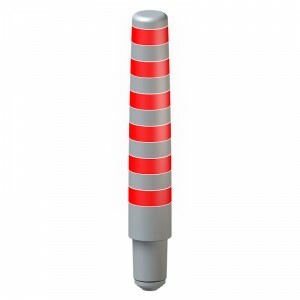 Night markers greatly facilitate the robot’s navigation while patrolling in winter, on snow-covered areas. They make it possible for the robot to move even along snowbound paths where built-in computer vision systems cannot find the route. The marker has pins for external sensor connection. Such sensors can be motion sensors placed around the patrolled territory. When a sensor is triggered, the robot receives a signal and changes its patrolling route to inspect the area near the triggered sensor. Night markers can be used to improve the reliability and motion speed in complex environments, such as industrial sites or tree-covered park areas. In such cases, there is no need to place them along the entire route but only in sections where navigation by a computer vision system is hindered. 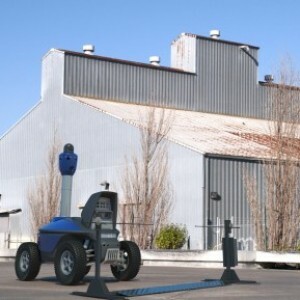 The S5 PTZ Mobile Robot is able to recognize people at a distance. To enable this, all staff in the patrol territory are to carry a Long Range RF ID unit. If a person appears in the view field of S5 PTZ’s cameras, the operated camera locks in on them and activates auto tracking, whereafter the Long Range RF ID system sends a request and displays the ID number, its owner’s picture, and the current video image from the robot’s PTZ camera to the operator for visual comparison. 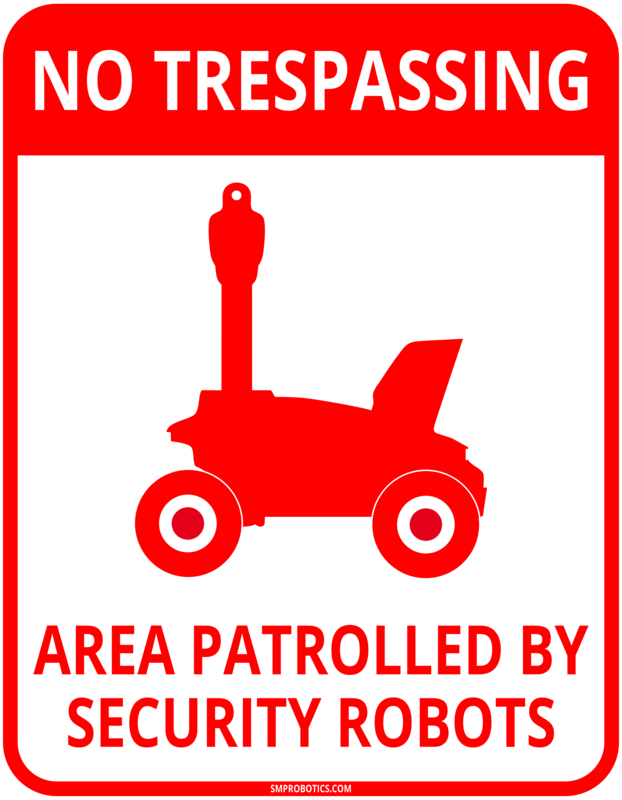 The Human Identification at a Distance system allows mobile robots to detect trespassers in a restricted area by continuously patrolling it and inspecting secluded places. 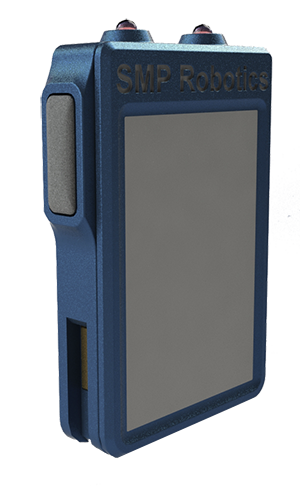 The Long Range RF ID unit enables identification from over 100 yards away. The built-in rechargeable battery lasts for one week of operation. This device has a surface on which to attach a photo of its owner. The wearable RF device can also function as a panic button. The panic button is protected from accidental pressing, as it is activated only by pressing two buttons simultaneously that are spaced apart. Location of panic button activation is displayed both on the security receiver and on the facility’s map. When robots operate in a wide area where a broadband communication channel between a robot and the operator’s station cannot be established, narrowband transceivers and voice remote control can be used instead. By fitting a robot with additional equipment, an operator is then able to receive voice reports of the robot’s progress along with the status of its electronic systems. The voice synthesis and recognition module is placed on the robot itself and functions autonomously without needing to be connected to a cloud service. If a current work schedule is to be changed, the operator can send a voice command to a robot, which is then interpreted and executed by modifying the task. In this mode, control is based on text-to-meaning recognition instead of a set list of commands. Such an approach means that the same action can be triggered with different commands. Upon recognizing the meaning of a command, the robot generates a request to verify the interpretation’s validity, and then executes the command only if the operator’s answer is affirmative. Voice control based on the narrowband transceiver’s functionality allows mobile robots to be controlled from dozens of miles away without setting up an expensive data transmission broadband net infrastructure. Such a robot operation control mode is time-effective and leaves the operator free to pursue other tasks. Mobile robots are equipped with WiFi communication module, which provides video transmission and data of a robot’s location with technical status for a distance of 218-328 yards. To provide continuous communication with the robot, WiFi routers shall be installed along the entire patrolling route. Their quantity is determined by the direct-sight distance to the robot. To achieve adequate safety of data transmission, it is necessary that the robot is within two routers coverage at any time. Vast sites will require significant investments into the WiFi-network infrastructure. To reduce costs arising from robots’ patrolling large-scale facilities, it is efficient to install a high-power communication module. As an option, the security robot can be equipped with a built-in digital radio communication module to cover the distance of a couple of miles in the direct-sight zone and up to 547 yards amidst buildings. To use the potential of the embedded high-power communication module to the fullest, the patrolling route needs to be equipped with similar communication modules. 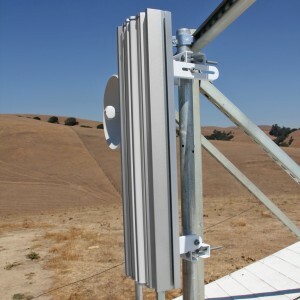 An omnidirectional antenna is mounted on the robot. 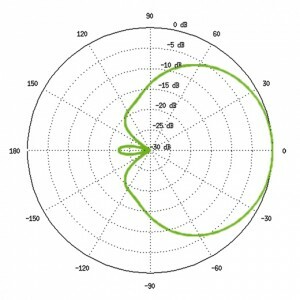 In stationary communication modules located along the patrolling route, using sector antennas of directional operation efficiently increases the power of signal in the area of robot’s movement. The Rugged remote control unit is designed to simplify maintenance operations (e.g. route teaching, mechanical assembly maintenance, loading and unloading, recalling a robot manually) for the operator. 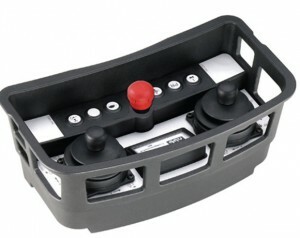 In contrast to controlling the robots manually via software for mobile communication devices (tablet or smartphone), Rugged remote control unit has a manifestly greater working range, and is fitted with joysticks and a neck belt. All these features greatly facilitate the ongoing control of a robot at route teaching or operating and providing maintenance for a group of robots. To ensure the autonomous operation of mobile robots, we offer an optional auto-charging docking station. Robots can recharge their batteries automatically by connecting to safe low-voltage current collectors built into the docking stations, all without human supervision. Auto-charging docking stations are provided in two optional designs: wall-powered (110–250 V АС) or powered from stationary solar panels (36–72 V). 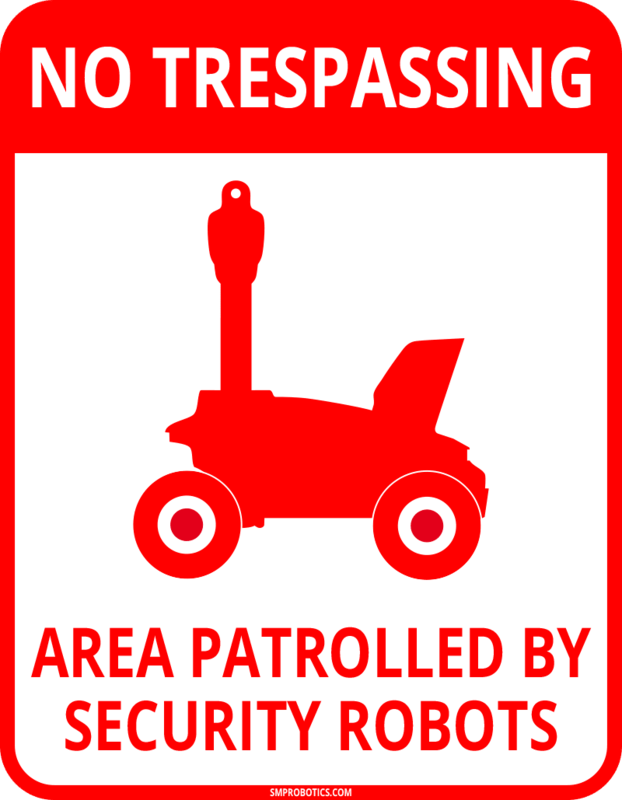 Using robots at large sites for patrolling and CCTV monitoring implies long stops at vantage viewpoints. In this case, it makes sense to deploy multiple auto-charging stations, allowing for frequent recharges and eliminating the need to recall the robot into the maintenance bay for lengthy recharge times when its batteries are low. 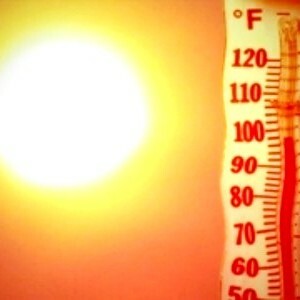 Built-in cooling system increases the upper value of the nominal range of the robot’s operating temperature from +104 up to +131 °F. 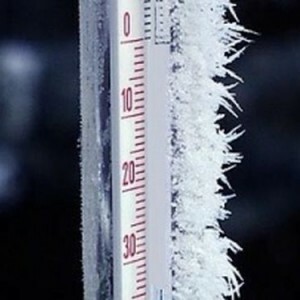 Built-in heating system and thermal insulation decreases the lower value of the nominal range of the robot’s operating temperature from -4 up to -31 °F.